Dating back as far as 1000 B.C., athletes have been using medicine balls to increase strength and conditioning, and now they’re making a huge comeback. Ancient drawings depict Persian wrestlers training with sand-filled bladders. Hippocrates himself is widely credited with popularizing stuffed animal skins for “medicinal” training. And of course, gladiators used their version of the medicine ball to train for battle in the arena. 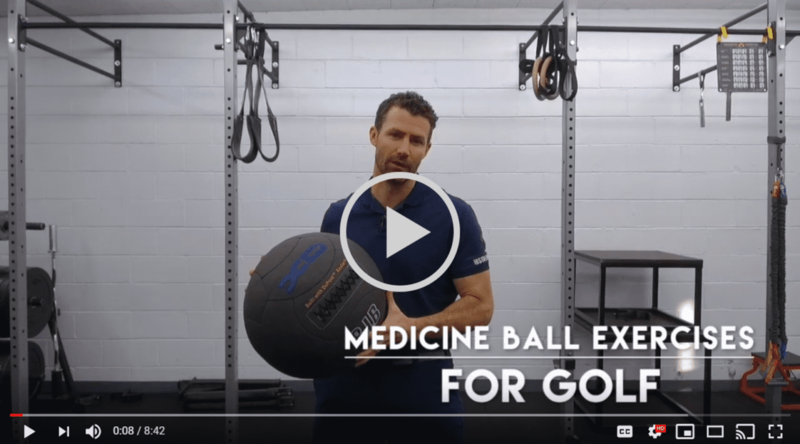 In recent years, we’ve seen medicine balls make a huge comeback due to their extreme range of applications – you’re limited only by your imagination. It doesn’t matter if you’re playing golf, soccer, football or baseball, having the ability to exert maximum force over a short period of time is a huge advantage for your performance. It’s certainly up for debate, but Jon Rahm has arguably the most explosive swing on tour right now – the kind of power even professional golfers dream about at night. More power and explosiveness equals more distance and control. It seems a bit counter-intuitive at first, but medicine balls are a great way to throw you off balance. Doing exercises off-balance helps work deeper muscles – the ones vital to maintaining good posture. A good example is holding a medicine ball while twisting your chest to work on your obliques. That movement works the entire chain of muscles. I feel like sometimes we talk about this too much, but it is so important. …we have our foundational movements like squats and bench presses that are awesome for building strength, but are limited to the amount of power they can transfer throughout your entire body. When you combine those foundational movements with medicine ball exercises, you’re able to incorporate your whole body through different planes of movement. Basically, our golf swings have so many planes, angles, forces and other physics problems that having the strength to control more and more variables makes us better.